This topic contains 8 replies, has 6 voices, and was last updated by BadBoyz 6 months, 2 weeks ago. And his deplorable and ignorant racist/misogynist supporters laugh with his loathsome clown. Trump, trumptards and those Republicans who don’t believe in Trump but don’t have the balls to stand up to him are the lowest of the low. 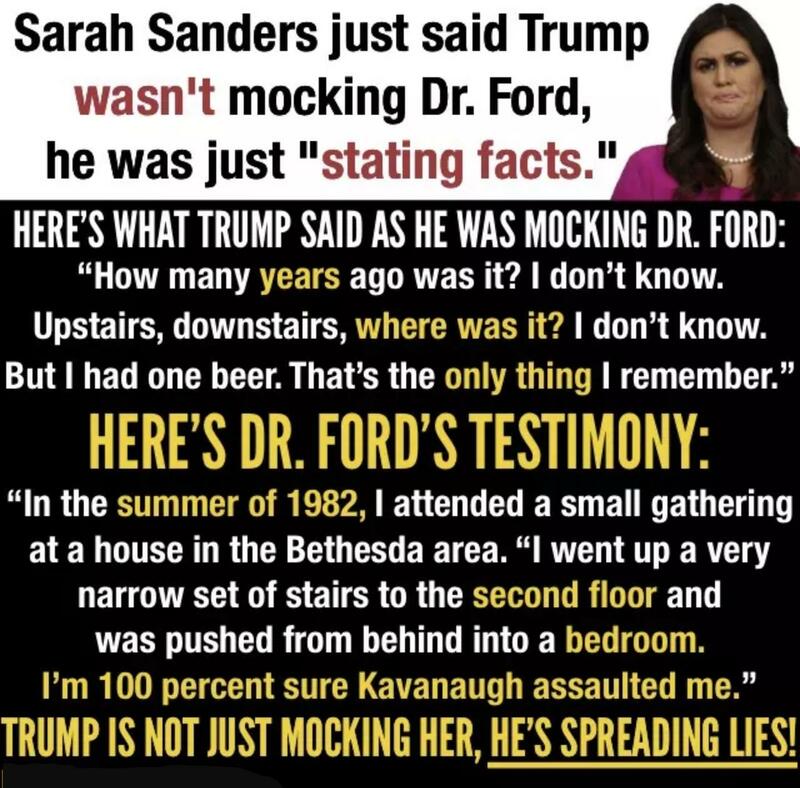 We saw the Trump we all know when he mocked Professor Ford but we also saw what his base looks and sounds like. 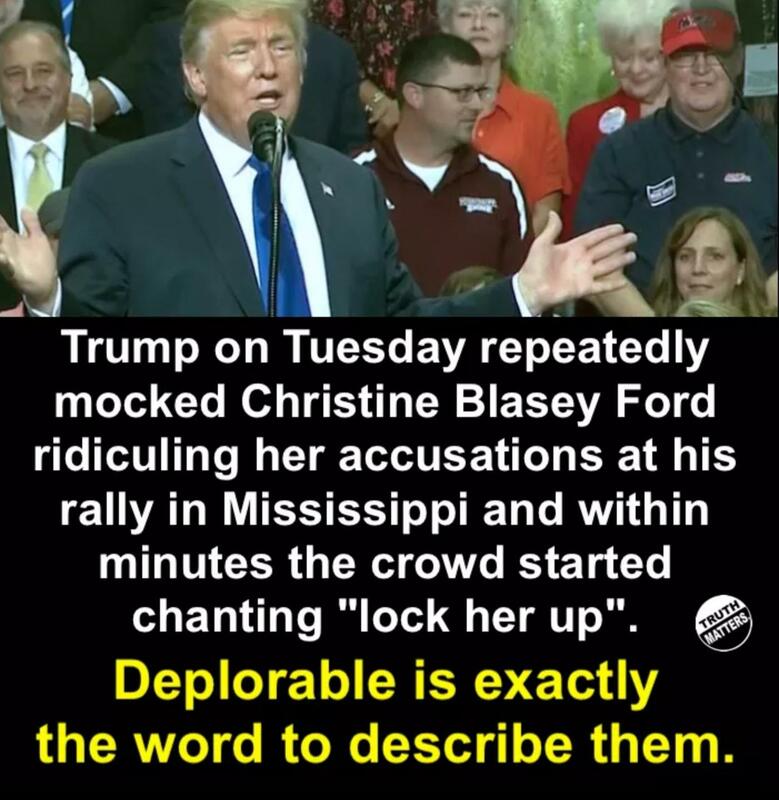 They are as vulgar as their leader. l’ll be seeing my rabid trump supporter Republican friend tomorrow and I KNOW that I will be subject to her abusive Fox News talking point rants. She has zero insight and when she starts she actually looks and sounds like another person. She is otherwise sane. This may be the end of this long friendship. It could be worse. Hillary could have won.